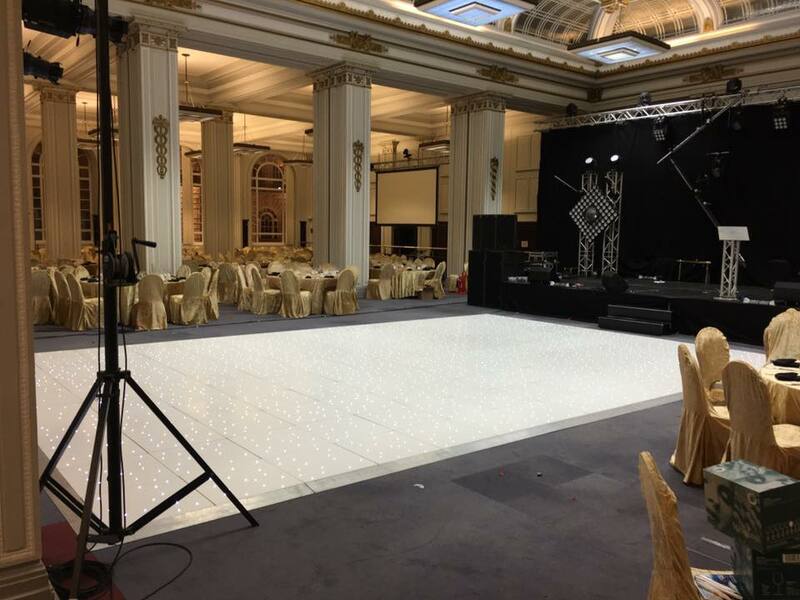 Premier Party Events Limited are one of the largest stockists of portable dance floors in the north of England. 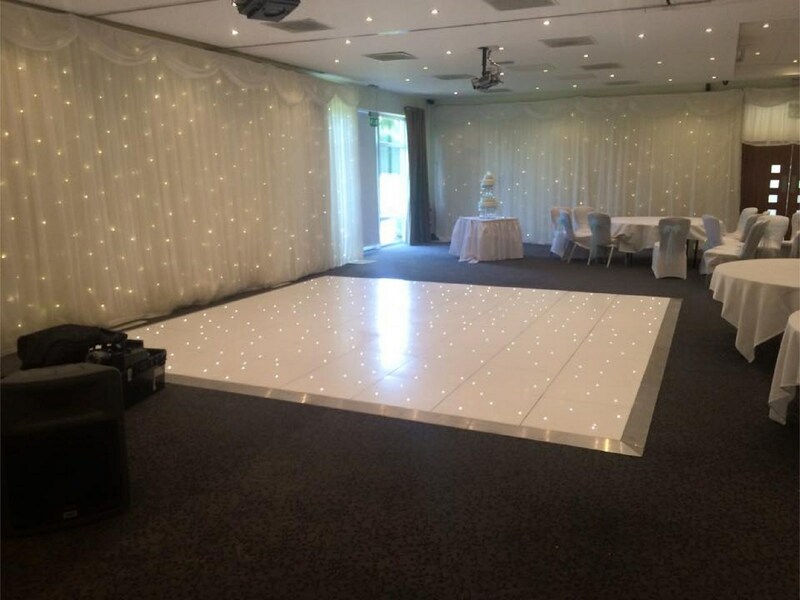 Our feature dance floors include sparkle star-lit floors and can be sized to fit almost any area. 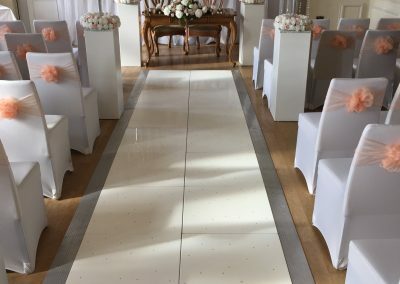 They can be used as an Aisle for Wedding ceremonies or as a Catwalk Runway for your fashion/corporate presentation or event. 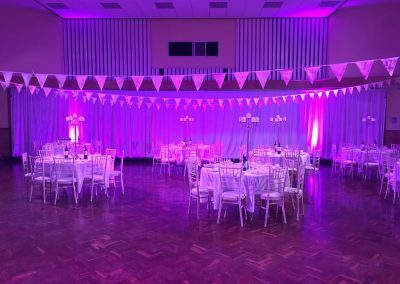 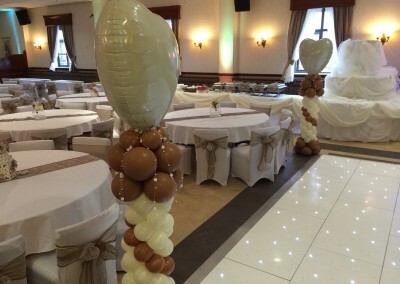 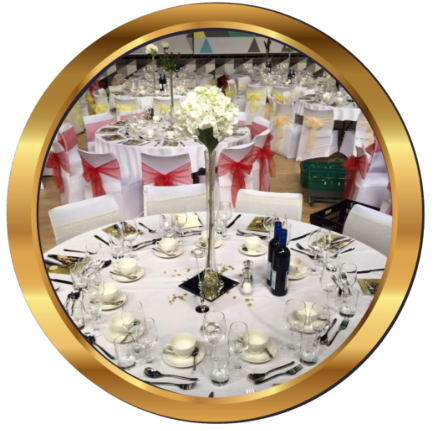 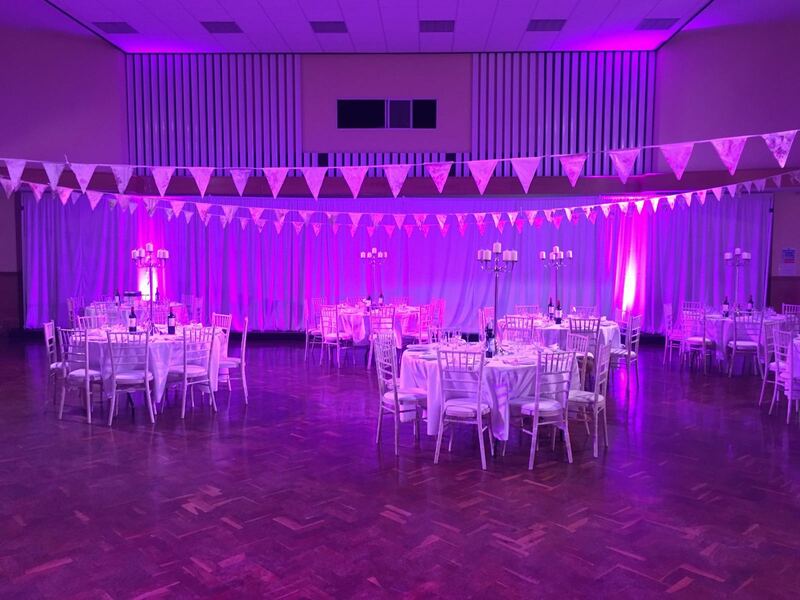 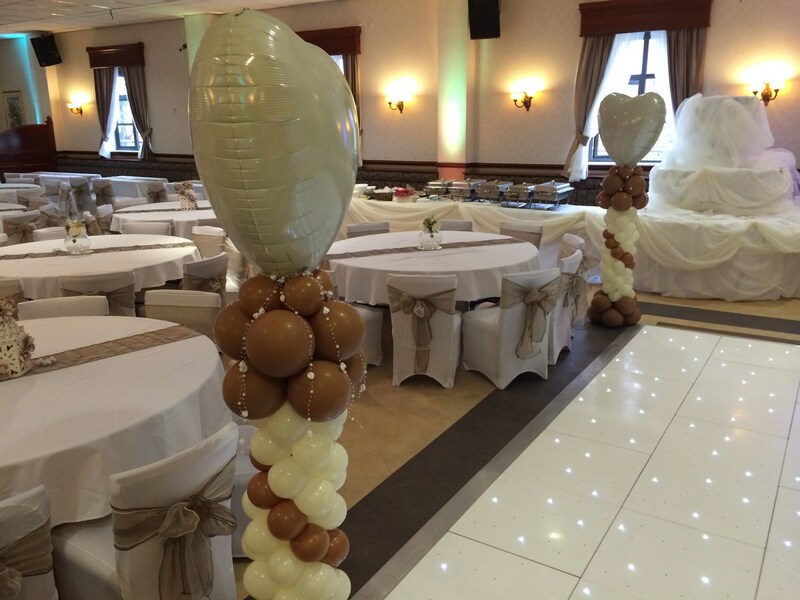 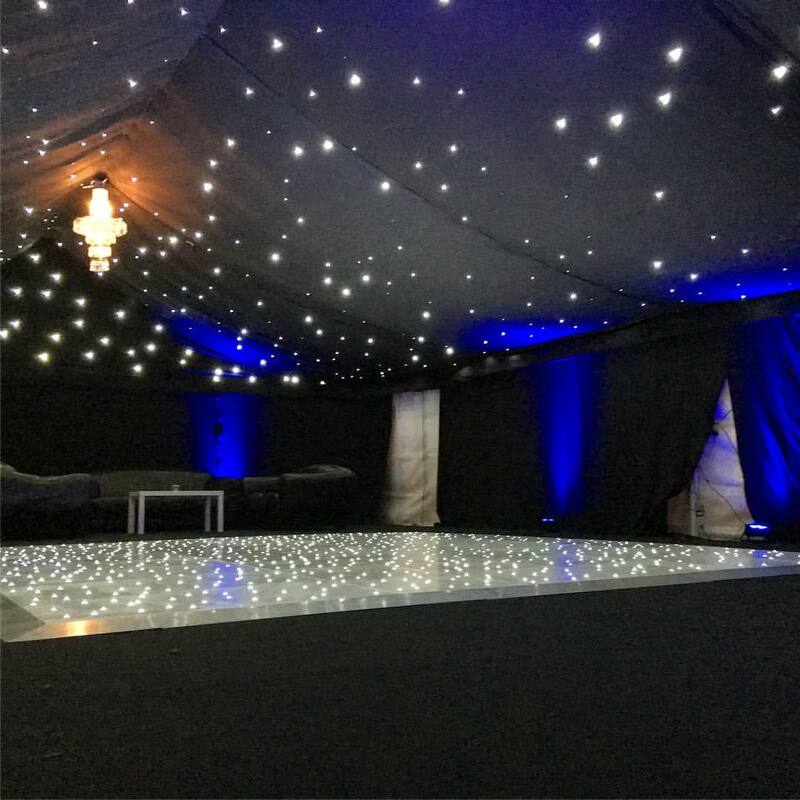 Our most popular size is 16 ft x 16 ft and our range is anything from 6ft x 4ft for your child’s special party right up to 28ft x 28ft for that glamorous Ball and will lay over an existing Dance floor, any carpeted area, wooden floor or tiled area. 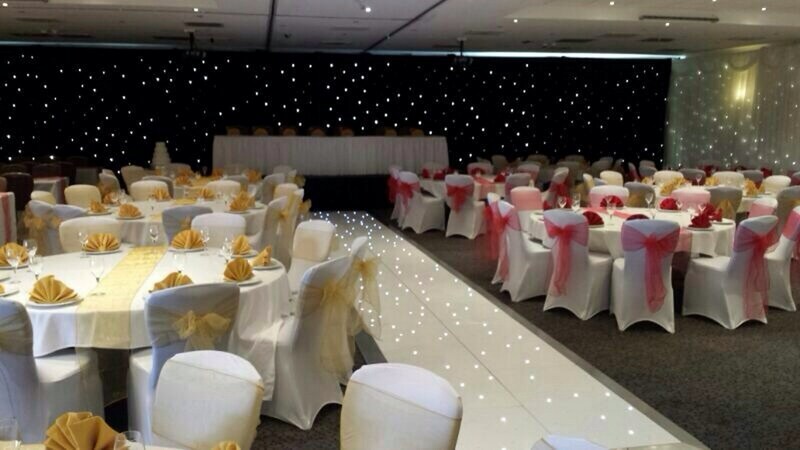 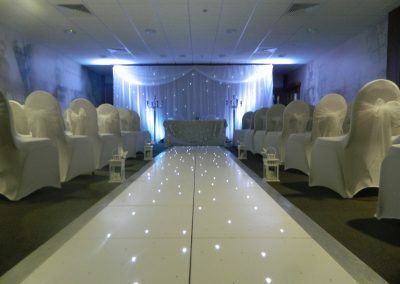 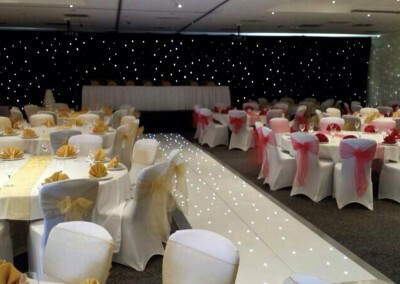 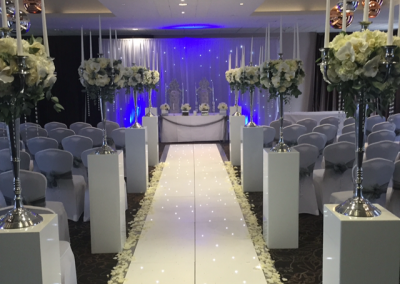 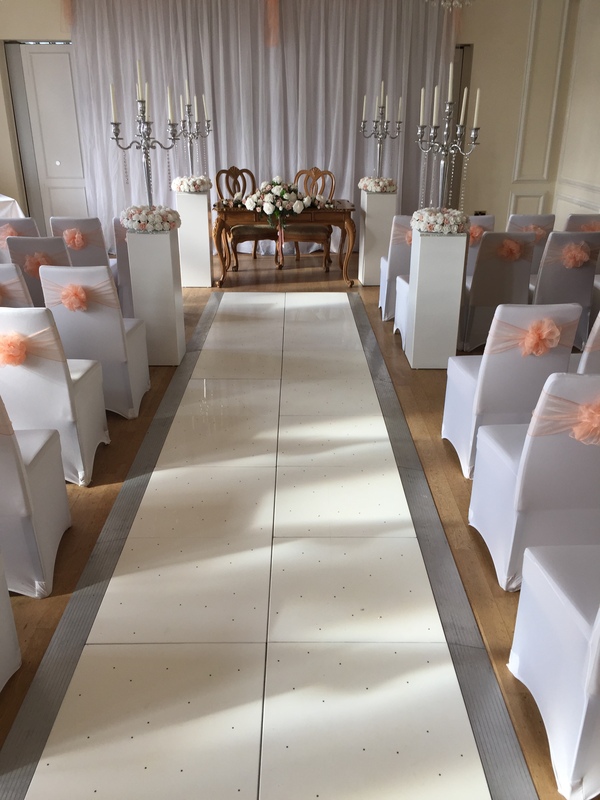 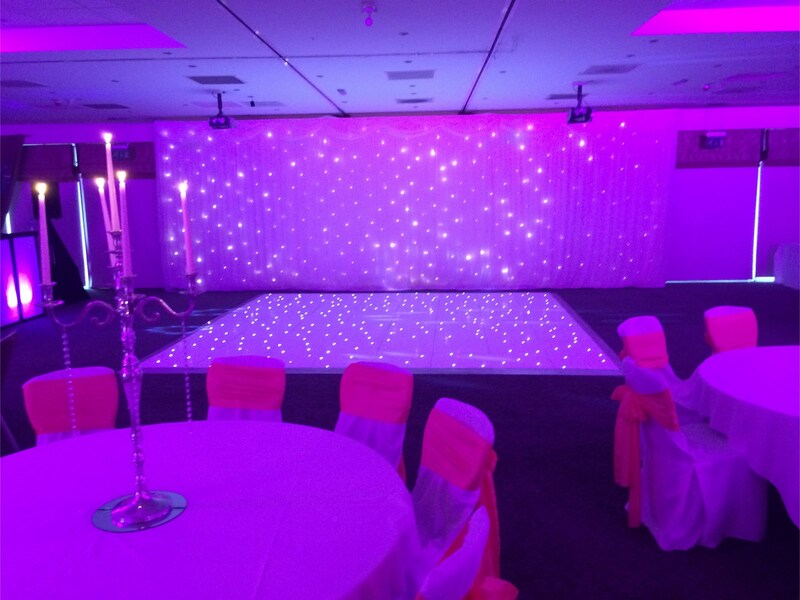 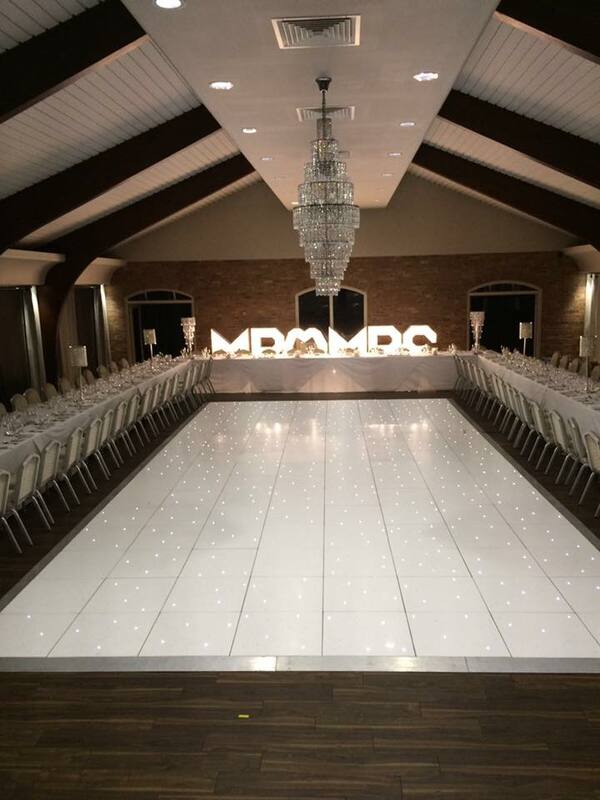 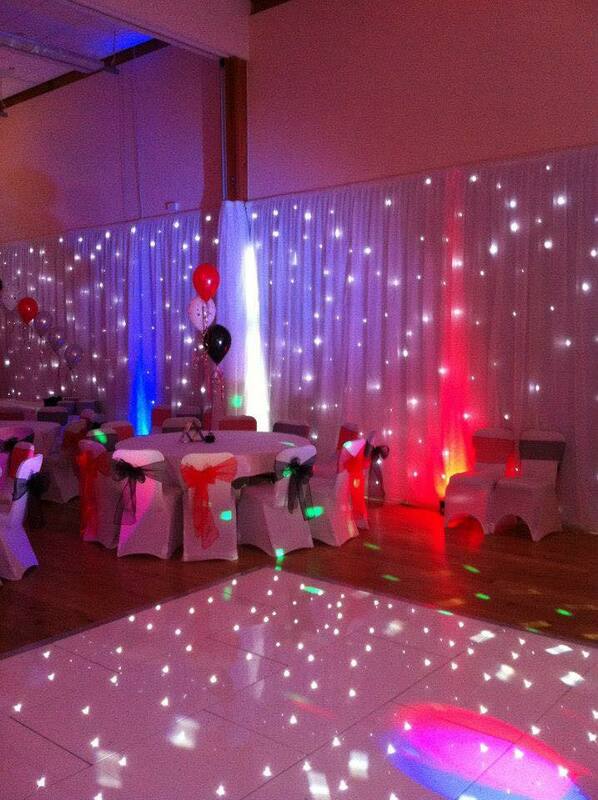 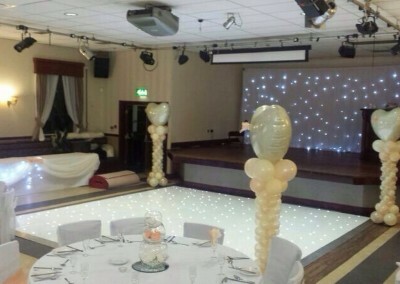 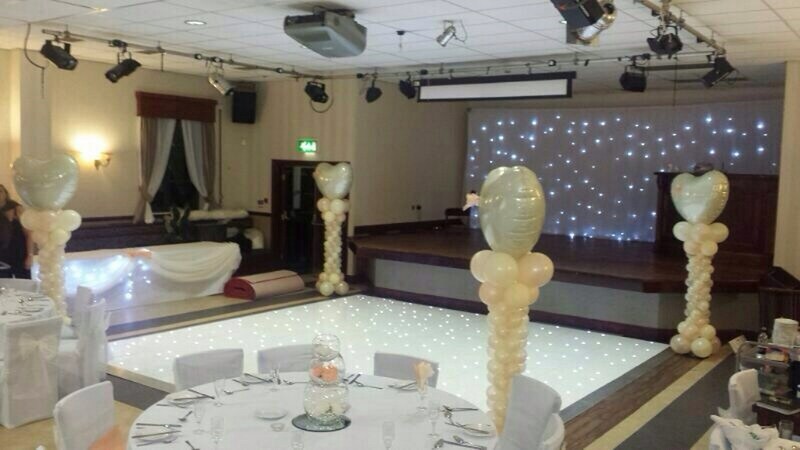 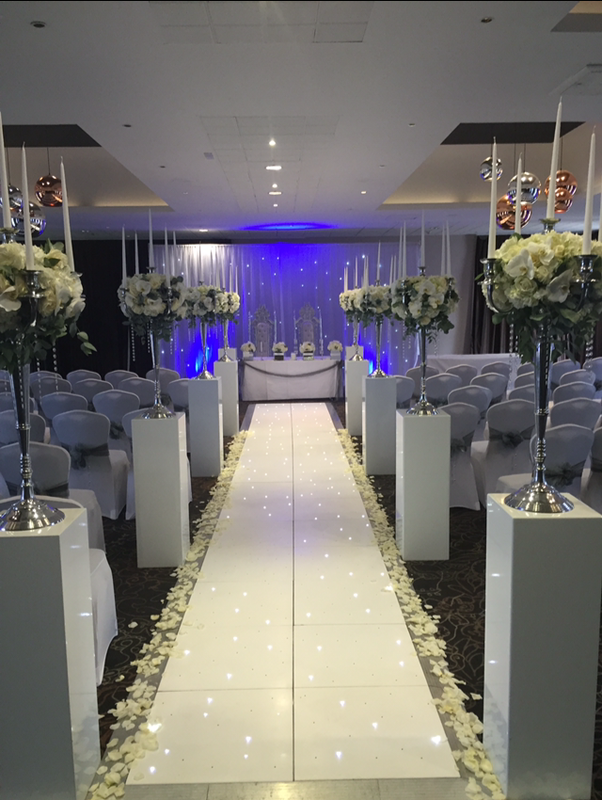 Our White Starlight Dance Floor is our most popular choice and simply looks stunning. 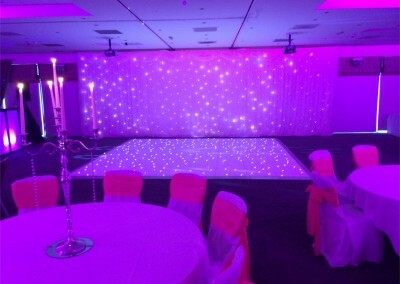 Perfect for fairytale weddings and dream events. 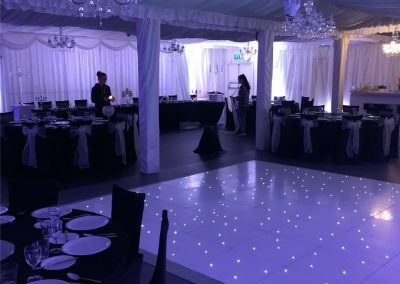 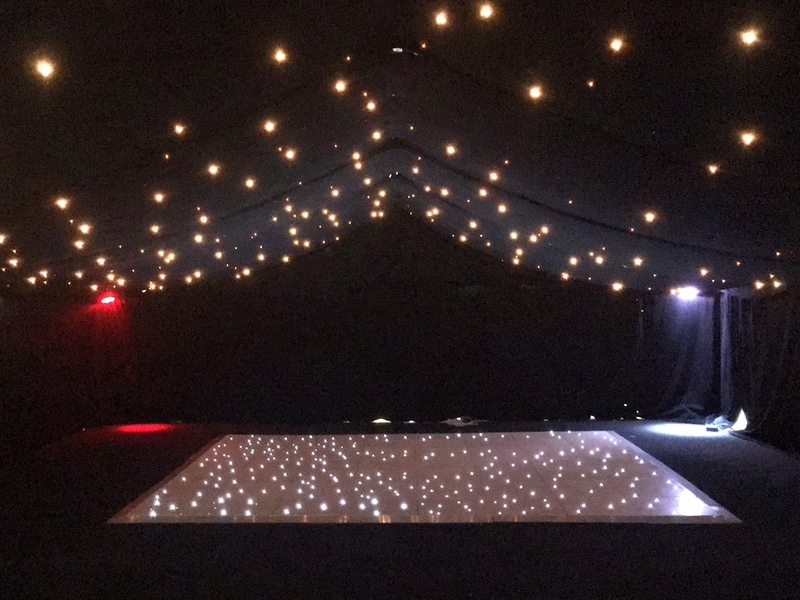 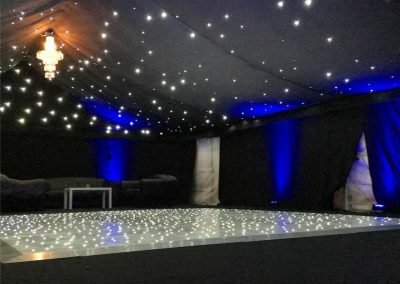 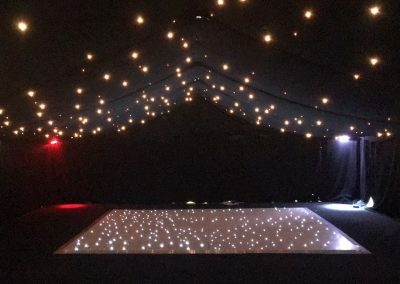 The ice white dance floor is fitted with LEDs to create a breathtaking star-lit sparkle and will make a statement at your event. 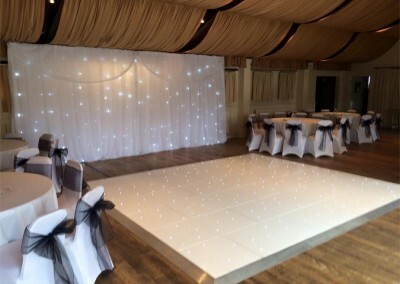 Our Black and White Chequer Floor makes a real feature of the dance area. 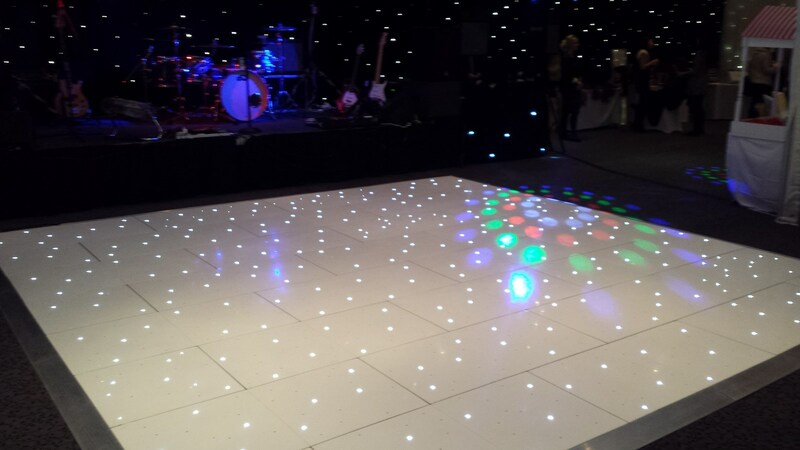 We find this non-sparkle floor lends itself to older venues where an LED floor would look out of place. 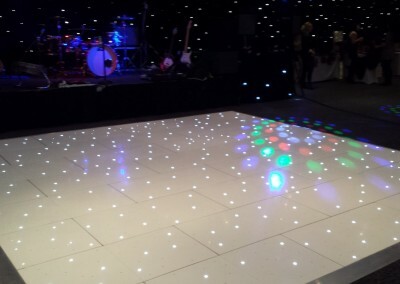 Or why not hire our wooden parquet dance floor for the more ornate function. 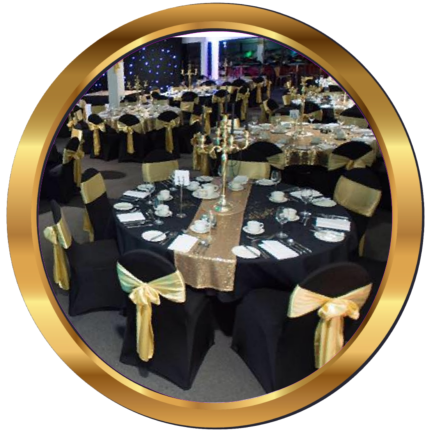 British Made offering superior quality and reliability. 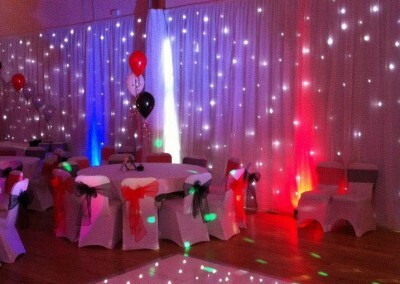 Fully Insured including Public Liability . 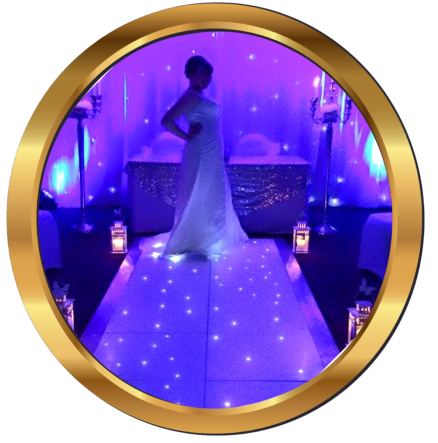 Regularly Fully Tested ,Serviced and PAT Certified . 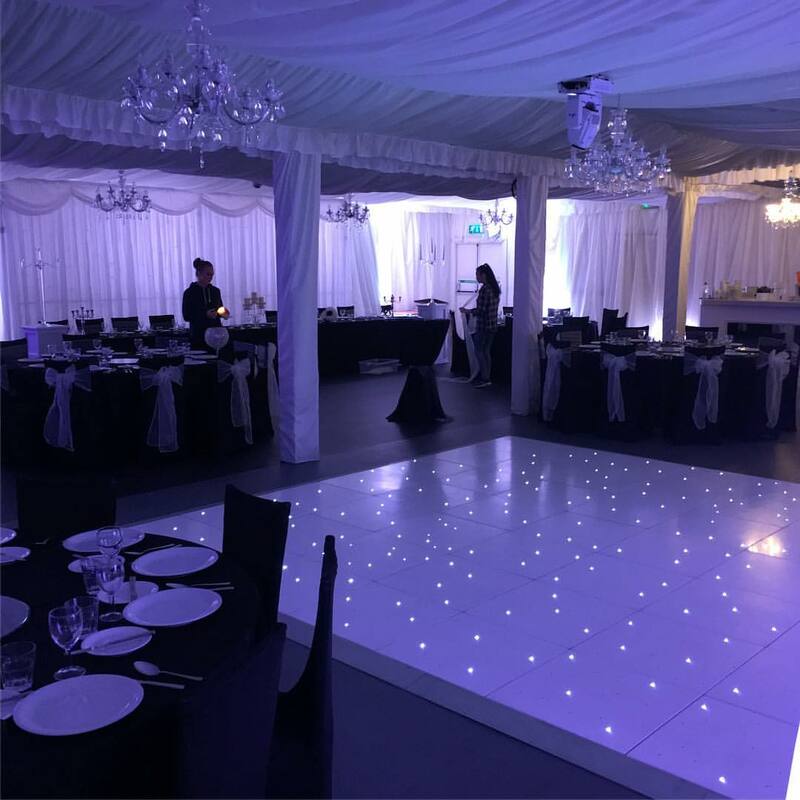 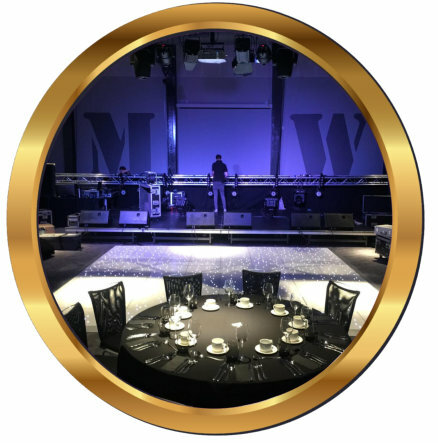 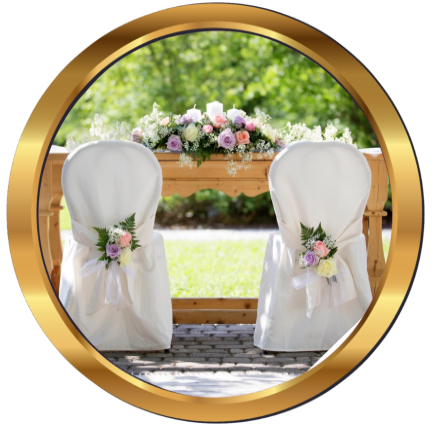 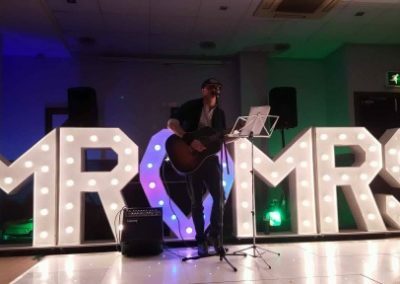 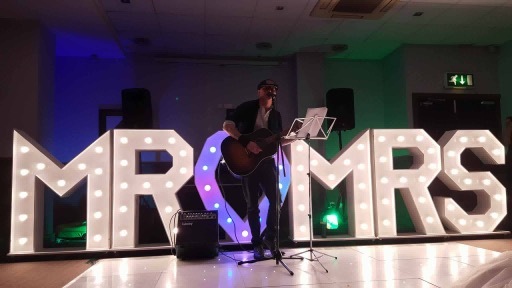 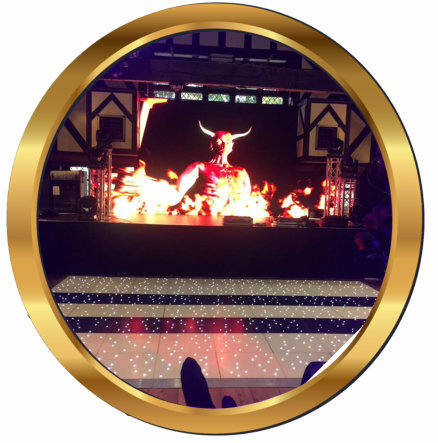 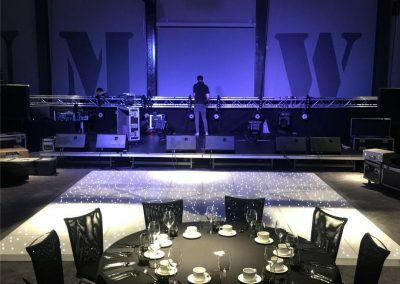 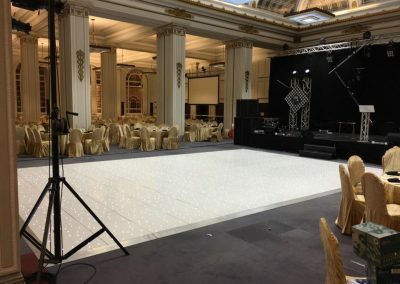 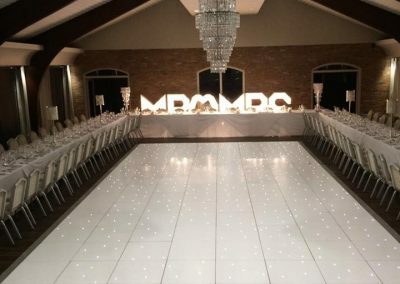 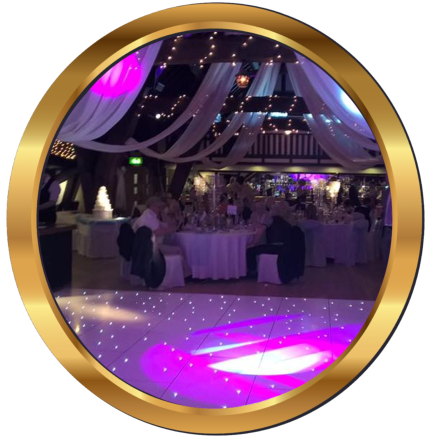 we at Premier party Events Limited are proud to be the first choice Dance Floor supplier for the leading hotels and venues across the whole of the north west. 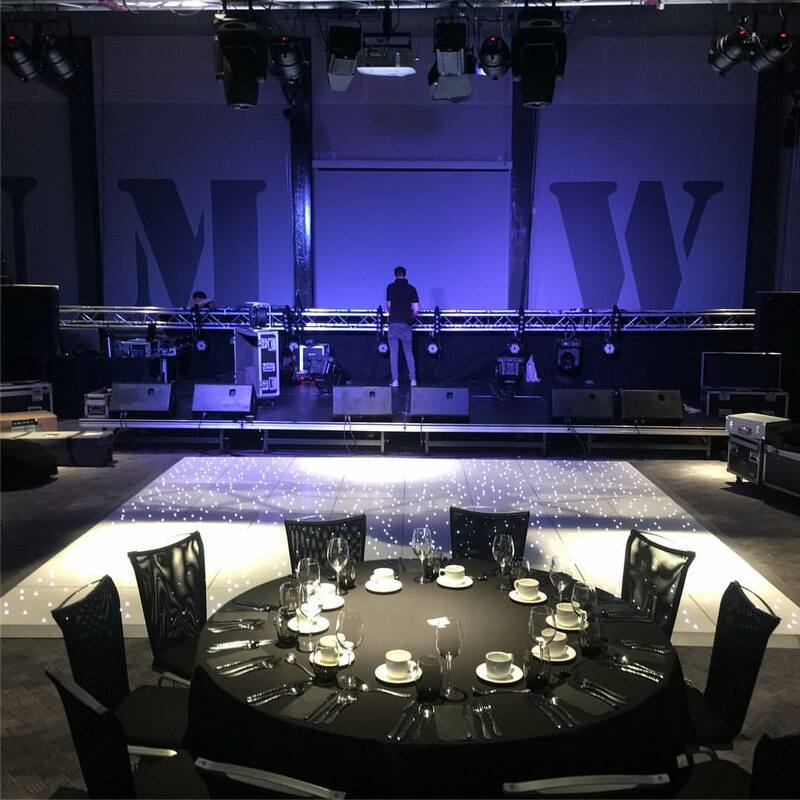 These are some of the Hotels & Venues that we work with regularly.